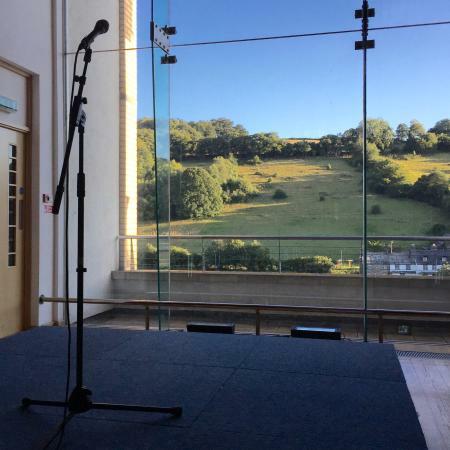 Calstock Arts is a community arts centre located in a beautifully converted Chapel on the banks of the River Tamar. The venue was established in 2010 and is a not-for-profit arts venue and it is largely staffed by a dedicated team of volunteers. Initially set up as a Community Interest Company they converted to Charity status in 2015. They programme a wide range of events including folk, jazz, classical music, comedy, film, theatre, talks and exhibitions. The venue also has a fully licensed bar and pre-event food is now available for some events. Calstock Arts was previously a Methodist chapel built in 1910 but completely refurbished by the previous owners, Peterloo Poets in the late 1990s, a time when grants were more easily available than nowadays! They are certainly grateful for this as it resulted in their iconic picture window that looks across the river Tamar to Devon and has visitors gasping in admiration. 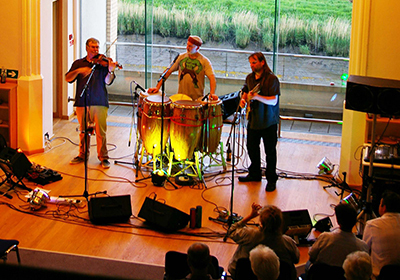 The venue has superb natural acoustics, which are greatly appreciated by both performers and audiences. The main auditorium seats 120. Calstock Arts organises round 60 events around each year and these are split fairly equally between ticketed and free entry. Most of the free entry events are part of their Gallery Bar Special series and where they request is a donation which goes directly to the performers. In addition to their ticketed events they also have Gallery Bar Specials, which feature live music and other events from well-known and emerging performers in the south west. 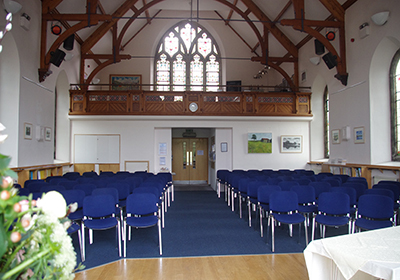 The Old Chapel is an ideal venue for a variety of community events, exhibitions, conferences, weddings and private parties.